Back in Asia, Japanese futures looked set to jump at the open, with Nikkei futures traded in Chicago up 1.18 percent at 22,415 compared to the benchmark’s Monday close. Osaka futures were higher by 1.07 percent at 22,390. In Sydney, the S&P/ASX 200 edged up 0.36 percent in early trade. Asian markets had rallied in the last session, with Japan’s Nikkei 225 rising 260.85 points, or 1.19 percent, and Hong Kong’s Hang Seng Index tacking on 231.43 points, or 0.74 percent. 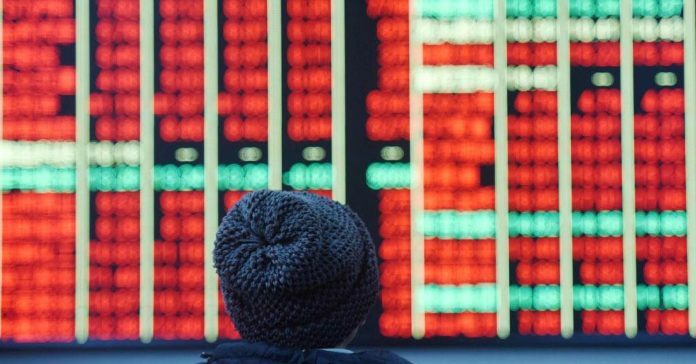 Mainland China markets also rose on Monday as investors digested weekend news about the proposal to remove a two-term limit on the presidency. The Shanghai composite climbed 1.25 percent while the start-up board Chinext index popped 3.12 percent. On the earnings front, Caltex Australia is among the names in the region reporting results on Tuesday. Meanwhile, Standard Chartered will report full-year earnings at 12:15 p.m. HK/SIN. In currencies, the dollar index, which tracks the greenback against a basket of currencies, stood at 89.847 at 6:54 a.m. HK/SIN. That was above levels around the 89.6 handle seen at the end of Asian trade on Monday, but not far off from Friday’s close of 89.884. Against the yen, the dollar traded at 106.94. The dollar index has firmed around 0.9 percent since the beginning of February. On the commodities front, oil prices touched their highest levels in about three weeks in the last session. U.S. West Texas Intermediate tacked on 36 cents to settle at $36.91 per barrel and Brent crude futures added 19 cents to settle at $67.50.